ConocoPhillips and Tierra Resources partnered to implement a pilot project focused on planting mangroves to protect against wetland erosion and hurricane surge. ConocoPhillips owns approximately – 636,000 acres of wetlands in the coastal zone of southeast Louisiana. This three-year pilot project had three main goals: to study the viability of planting mangroves for restoration purposes, to apply the best practices of the certified wetland methodology to quantify carbon sequestration, and to research the carbon impacts of prevented wetland loss. The pilot project was implemented in a salt marsh environment where various mangrove planting techniques were tested. Air seeding by crop duster airplane was determined to be the most viable planting technique. 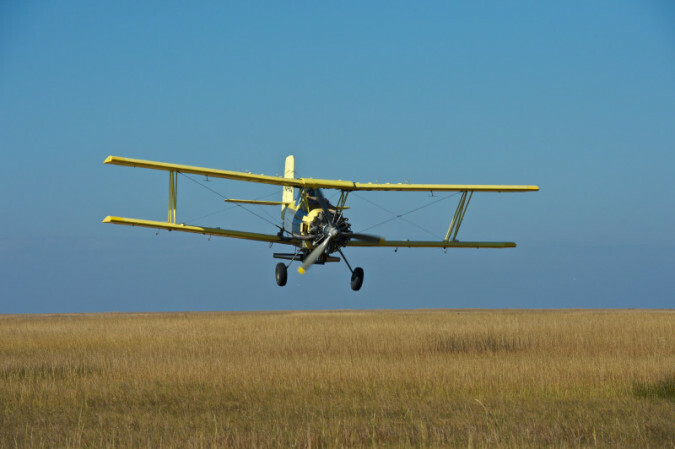 This marks the first successful test of air seeding of mangroves by crop duster airplane, providing a cost-efficient, scalable method to prevent wetland loss. Further research was conducted to prove that greenhouse gas emissions can be avoided by preventing wetland loss. Mangroves and tidal salt marshes are among the most endangered marine wetland habitats in the world. Mangroves are becoming more prevalent in Louisiana since there has not been a hard freeze since 1989. Mangroves provide a wealth of benefits ranging from serving as a fish habitat, supporting commercial and recreational fisheries, to filtering coastal waters and improving water quality. The elaborate root systems of mangroves show potential to reduce erosion and trap sediments while also increasing a wetland’s ability to reduce storm surge and hurricane-related flooding. In addition to their role in protecting wetlands, mangrove trees also sequester relatively high amounts of carbon dioxide. The research focused on coastal Terrebone and Lafourche parishes where up to 40,000 acres have ideal conditions for mangrove establishment. ConocoPhillips intends to remain good stewards of its land while also enabling greater conservation of wetlands in the Gulf Coast and around the world. ConocoPhillips is doing that by contributing to the collective understanding of wetland and carbon science, and by encouraging the development of wetland restoration projects in the Gulf Coast by other landowners. The overall impact from this project is the development of an alternative planting technique that will allow a larger amount of mangroves to be established, in a shorter time frame, and at a reduced cost. After the mangrove planting project’s success with ConocoPhillips, Entergy announced that they will join forces with Tierra Resources in 2016 to further demonstrate the scalability and affordability of mangrove air seeding.